I was recently approached to do an interview with WBT pro and recent Bassmaster Classic qualifier Kim Bain-Moore. I thought this would be a fun interview, so I teamed up with John Haynes from Bass Fishing the Midwest and the rest is history! I think you will enjoy, just click on the player. This interview can also be found on iTunes. Below is a sumarized view of the interview for those that do not or cannot listen to the PodCast. Trust me the text does not do the Audio justice! I shortend & eliminated a few things from the text, because it was just too much typing. Bassin Blog: John & I pride ourselves on doing our research about guests, we think we found a nugget that may have been overlooked and not really talked about, we have reason to believe that you fished the most recent Bassmaster Classic on the Red River and are actually the first women to do so, is this correct? Kim Bain-Moore: (Laugh) Very Clever Fellas. KB: Absolutely, was the pinnacle of my career. I have dreamed about the goal since being a little girl and something worked very hard to achieve, it was a dream come true and a bit of an overwhelming experience. Really great to see all the excitement around the Classic, the media, my family coming in from Australia. Big year for my sponsors as well, including the 100 year anniversary for Evinrude. KB: Good questions, lots going on, lots of interviews spreading the word. Lots of incentives, go to your dealers to learn about incentives on new E-tec motors. Had a small incident at the last tournament, a run in that was my own fault. Had a brand new lower unit installed and I was back in the water in no time, missed no fishing time. It was AWESOME! BB: Finished 13th at Neely Henry, any added pressure media or otherwise at that event? KB: I don’t think I went in to the tournament, feeling any added pressure, just really chomping at the bit to get back out fishing on the WBT. LASt year I had a 4th place finish at Neely Henry and certainly conditions changed a lot, water was lower and earlier in the season, most of the fish has not pushed back in the creeks as much. I found myself doing a lot of spotted bass fishing where last year I weighed all largemouth. I was really proud of my 13th place finish, would have like to have a top 10, have 3 more events for the season. Next event is at Lake Quachita in Lousiana, should be a better flipping bite. BB: Of the next events, which are you looking forward to the most? KB: All of the remaining events, Quachita, Old Hickory & Arkansas River. I am excited for the challenge; I am used to fishing more lakes. The river system is new to me, which is what I enjoyed about the Classic on the Red River in Shreveport. Its important to learn something every time out on he water and this year will definitely be about learning. If I had to pick one, probably say Old Hickory where I have the most experience there, but I am keen about fishing the Quachita as well and do some flipping and bush hawging and get back in the back country and catch a few big ones. BB: Last year never finished worst then 6th last year, can you repeat as WBT AOY? KB: Yeah, I think so. WBT has same system last year where you get to delete your worst finish. There maybe a little added pressure based on my recent finish to go out and compete and have some high finishes. I think one mistake I made at Neely Henry, always analyzing my days on the water. I should have fished for largemouths on the last day instead of the safer smallmouths. The rest of the season I will target the bigger bites and do what I can to get larger weights. BB: You mentioned flipping, If you could only carry 1 color RI Sweet Beaver in your Legend Boat, what color would it be & why? KB: I would have to say California 420, just seems to go to a variety of lakes and systems and catch fish. Dark watermelon & watermelon red, which is a consistent color for most anglers. I have had a lot of success at Old Hickory, Lewisville and the WBT Championship, its just a good all around color. But its kind of like starbursts, I will start with Strawberry but will eventually work my way through the whole pack. BB: In the past you fished some FLW Tour & Series events, Western Open, any plans to get back into those events on top or in place of the WBT? KB: I certainly wanted to fish many events to learn about different techniques and bodies of water. Now that I am fishing the WBT, my husband Andre fishes other events as well. In 2009, he would support me on the WBT & I would support him at other events, its been a great time on the WBT. For me its about enjoying time on the water and maintaining time for family. BB: Please comment on how you think the co-angler works for the WBT compared to how the Elite Series has went to the Marshall Program. KB: With the WBT it a great moment for ladies to get out and fish & learn about different lakes & techniques. It builds their confidence to then move to the pro side. Then they just need to get a boat and whack an Evinrude E-Tec on the back and get going. Large part of my success was the support of my family and confidence and good equipment. BB: Are you seeing sponsors showing increased interest in women fishinig? KB: Certainly, the biggest example was at the Classic. The shear numbers of women and children coming up to me and showing an interest in getting out on the water with their families, husbands, boyfriend was amazing. Truly overwhelming, I signed autographs for over 5 hours straight, until I had to leave for a TV engagement. I had people try to follow me into the bathrooms for autographs. It was just exciting seeing that passion and enthusiasm, which shows positive things for the future of the sport. If course statistically I did not have the best classic, but its not always about the fishing catching. Over all people were excited about me being there and coming up to me it should help grow the sport. BB: In 2004 you fished a Walleye tournament in Walker, MN, what brought you to that tournament? KB: Good research guys, especially for me being Australian, learning about different species is a passion for me. Trying different things help you learn things you can adapt back to bass fishing. Part of my success get out there and try different style, at Leech lake as a co-angler I learned to back reel which is a skill I use for big smallmouth and spotted bass on light line. BB: You have some experience with Lake Norman, you caught your biggest stringer in 2008 FLW Tour competition there, can you help John & I with our Fantasy Fishing picks? KB: Bryan Thrift is a local and Alvin Shaw who is a local and good friend of mine from the FLW Tour. BB: Kim, thank you very much we appreciate your time. You are not only a great bass angler but a great ambassador for the sport; We will watch you the rest of the year on the WBT. Good Luck at Lake Quachita. KB: Thanks Rich! Thanks John! This is actually video 4 of 4 in his post classic follow up, this one talks more about the area and the mental game of approaching his 10th classic vs. his first classic. The other 3 videos are good as well, you should be able to pull them up in this window after this video is over. Enjoy your weekend, check back next week for Fantasy Fishing Picks for both tours. Brentwood, TN – Secret Weapon Lures, Inc. announced today the company has signed an endorsement deal with professional bass angler Randy Howell. Howell will help the company build upon its reputation as an innovator of premium, high performance fishing tackle for fresh and saltwater sportfishing. 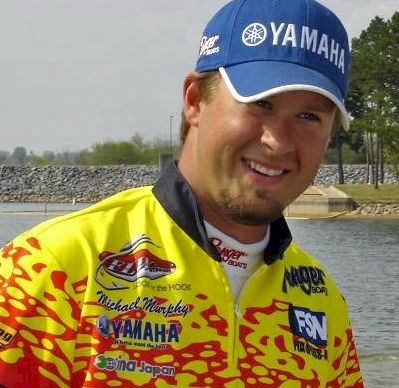 Howell, of Springville, Alabama, ranked 8th in the Bassmaster Elite Series 2008 standings, will be a top contender again in 2009. Look for Howell at the Bassmaster Classic on the Red River near Shreveport, Louisiana in February 2009. “Randy Howell is an extremely gifted angler who shares our priorities of God, family and fishing. He has the necessary attitude, experience, and skill to win the Classic, and we believe that Secret Weapon’s Recoil Rig™ can help him attain that goal,” said Joe Haubenreich, president of Secret Weapon Lures, Inc.
About Secret Weapon Lures – Secret Weapon Lures manufactures premium, high-performance fishing tackle. Their lures, made in America’s heartland, were conceived on the clear rivers of Missouri and have been honed and field-tested, and daily prove their worth on lakes and rivers around the world. To learn more about Secret Weapon Lures, visit secretweaponlures.com or call toll free (U.S) 866-391-6108 or 615-469-5710. Ran across one of John Crew’s videos on the internet and then noticed he has 29 great videos. Here are a few of the better ones that I have watched. 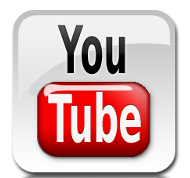 Over all there are 29 videos, you can find them all on YouTube! Good News! This month’s emailer is all about the Flit, but also note that the first major shipment of ima Shaker crankbaits have arrived in stores, with more on the way. We will be doing a full story on the Shaker crankbait in April (not too far away). So please stay tuned, and kindly ask your local tackle shop to carry the ima Shaker crankbait, Flit jerkbait and Roumba wakebait too. ima has recently introduced it’s new Flit jerkbait, and anglers everywhere are eager to be the first to try the new Flit this spring! In this issue, Michael Murphy (“MM“), designer of the Flit is interviewed, with a question and answer session focused on fishing the Flit during the spring time. This interview certainly won’t cover every facet of fishing the Flit. We’ve aimed at what you may need to know to get started with the Flit in March and continue using it in April and May. As you read, think spring time and what bass are doing now. Later in the season, we will share additional tips on using the Flit – summer Flit tactics, fall and winter Flit tactics we will provide in future issues. For now, we hope you enjoy the interesting Flit facets below for spring fishing with the Flit. Thank you. Q? : To set the scene, what kind or rod, make or model do you fish with the Flit? What reel? What line? MM: The rod I like to use is the Fenwick Elite Tech, ECPS69MH-F. This is actually a 6’9″ Pitching stick. I stand 6’5″ tall, and with the elevation of the boat bow above the water, standing on the front deck, this rod is the perfect rod for me to be able to point my rod tip straight down without dragging in the water. I believe this is critical for ease of use, to hold the rod straight down without hitting the water, but this will be different for everyone. For a shorter person, it may be a 6′ rod. Overall, I like a medium/heavy action rod with some good backbone but still a good amount of tip for casting, working the lure and for playing a fish gingerly if it is barely hooked. Q? : How do you recommend to attach your line to the Flit? Why? MM: Directly to the eyelet. Some like to use a clip on their jerkbaits, hoping to get more action. This action is already naturally build into the Flit without having to do this. Adding a clip would most likely result in the front hook continuously catching the line. A clip is not needed. Simply tie direct to the split ring already provided on the lure. As far as knots, any type of good cinch knot goes well with fluorocarbon, except I do not like to use a Palomar with fluorocarbon since I believe it increases the chances of knot failure, and I do like to use fluorocarbon on my Flit. Q? : How deep does the Flit dive? Are there any certain types of cover or structure or something else specific that’s an ideal situation for the Flit due to its working depth? MM: Many jerkbaits are first designed on looks (eye appeal) and then the bill is constructed to achieve action and depth. Since the Flit is designed based on the idea of matching the hatch and to mimic the cadence of baitfish, specifically of the herring family (i.e., blueback herring, gizzard shad and threadfin), the action is already built into the Flit body. The bill is there to only achieve depth, not impart action. If you would like it to achieve its maximum depth, point your rod tip down toward the water to obtain 8 feet of depth on 8 lb fluorocarbon or 6 feet of depth on 10 lb fluorocarbon. You may change the position of your rod tip to make it run shallower. With your rod tip pointing directly up at an eleven o’clock position, you can make it walk just beneath the surface. The Flit very effective, whether used to fish deep on bluff walls or shallow just under docks. Q? : Is there anything you can do in terms of rod, line or retrieve or any other bait adjustment that lets you reach different depths? Is there anything that can make the difference of getting the Flit a couple of feet deeper or shallower? MM: As mentioned above. line diameter and also line type do make a difference. The general idea whether using the ima Flit jerkbait or the ima Shaker crankbait, is the smaller the line diameter the deeper the bait will go, simply due to less line drag. However, with the Flit, the exception to this would be at rest. Mono floats and fluoro sinks. You could use this to your advantage to behave differently or run at different depths dependent on specific situations. Again, this will vary among line brands and types. No two lines are exactly the same. Q? : Sometimes a bait gets categorized as a smallmouth killer or a spotted bass killer, or a largemouth magnet. Do you think the Flit has a special or higher appeal to smallmouth, spotted bass or largemouth? Why or why not? MM: I couldn’t tell you. The Flit catches all three bass species equally and all very effectively. I think you can’t tag this type of reputation on the Flit, since all three species feed on members of the herring family, which makes them all equally vulnerable. I can tell you, with all three bass species there are no differences. They all eat it most excellently. If anything I would call it the “anything that swims and feeds on baitfish magnet” because it is not just with bass, but it could be redfish, pike, perch, gar, you name it. I have caught practically everything on the Flit so far. Q? : Some anglers mention having a good jerkbait bite first thing in the morning, and then have it fade out and die on them by mid-morning. Is that something you’ve seen about the Flit bite? Is the Flit bite similar to what some have experienced with an early morning topwater bite, that it’s usually good at first light, and shuts down once the sun hits the water? Or is there anything you can do or any conditions or factors that make for a good Flit bite all day (or as long as those factors remain present)? MM: No. It is not like that. As the sun comes up, I start to chase shadow lines. It may be the shadow line off of a bridge, dock, trees, bluffs, etc. Seems like bass will just pull tight to these shaded areas. It is not just with jerkbaits, I would say this applies with all lures under these early morning conditions and it is merely the natural behavior of how bass act. I say this, because I would never say a topwater bite will completely shut down. Instead, it will just change. I have had some of my best topwater days on Lake Lanier over 30 feet of water on clear bluebird days catching both spotted bass and largemouth. I think the shutting down of any bite or that sudden “lock jaw” is nothing more than a myth. Strike zones and the willingness to commit may become smaller, or how fish may hold to structure may change under changing conditions. However, at the end of the day. it is all basic behavior and simply what makes the best sense for how a bass can ambush its prey. Bass are always eating, it is just a matter of how or where. I have never seen a tournament where someone did not catch something. So I am not a big believer in a bite shutting down because the fish were not eating. The bite just changes or shifts. As anglers, we may lose the bite, but it’s still going on somewhere. Q? : What would you say is the biggest error you see anglers make with jerkbaits? MM: Certainly it’s stereotyping the technique. The belief that it is only good for spring and for post frontal situations. They (jerkbaits) are good all the time. Q? : Overall, what action are you trying to create with a jerkbait, and with the Flit specifically? What impression are you trying to make on the bass with the Flit? Is it supposed to be an injured or disoriented baitfish – or a perfectly normal baitfish movement? MM: Both. You can make it look disoriented or like a normal baitfish. Whatever condition or mood the bass may be in, you can match it. The Flit can be fished with random jerk and pause techniques, or with a consistent walking side to side motion. It is based on the concept like a Zoom Fluke or other soft jerkbait, or a topwater like a Super Spook. Both the Fluke and Spook have very effective actions. Now imagine being able to do that on a bigger scale, better and where you are more easily able to catch the fish that are just slapping at it and not really willing to commit. You’ll hook a good percentage of these non-committal fish with a jerkbait. Q? : With the jerk component of the action you create, do you vary the jerk for different seasons or different reasons? MM: Yes, the colder or less active the fish are, the tighter the walk or the shorter the jerks I will use with a longer pause. The warmer or more active the fish are, the harder I will lay into the jerks and the more frequent and consistent I will work the lure with less pauses. Q? : With the pause component of the action you create, do you vary the pause for different seasons or different reasons? MM: Yes, as mentioned above. Q? : Which is the most important part, the jerk or the pause? MM: It depends on the time of the year. Both are equally important. This goes back to the previous two questions. Q? : What other elements are there to the action? Is the reeling an important element? How fast or how far you reel, do you vary that? Any other elements to the action except the jerk, the pause, the reeling? MM: I typically reel a quarter to a half a turn per jerk. With this type of technique, the reel is nothing more than a tool to hold the line, and a good drag and high speed retrieve when fighting a fish. The most important elements to working a jerkbait are the rod action and how you work the rod. In addition, your attention to details of what happens to the jerkbait on different jerks and rod angles, and tying all this together to discover what is most persuasive action to the bass on any given day. Q? : Do you look to develop a cadence or Flit “action” for the day? That is, once you catch a few on a certain sequence of jerks and pauses, do you find all your fish going for that same sequence of jerking-pausing? Or do you catch fish on a diversity of cadences during the same day? MM: Absolutely a cadence or “rod action pattern” materializes many days. This goes right along with my previous answer and the paying attention to details that spell what is the fish’s preference for the day or for the situation at hand. Q? : At what point do most strikes occur? What induces the strike – the jerk, the pause, the reeling in or what? MM: The pause, over 90% of the time. Q? 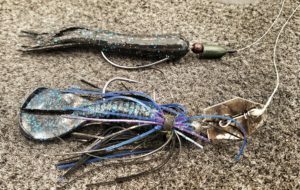 : How would you say that jerking, pausing and reeling in a jerkbait differs from popping, pausing and reeling in a topwater popper? Is it essentially the same action for a popper and a jerkbait? If not, what are the differences between working a topwater popper and working a jerkbait (except of course you can see the popper)? Q? : What if you suddenly see a bass following the Flit as it gets near the boat (or shore)? What do you do to convert those followers into biters? How do you get them to commit and whack it? Or if they break off the chase and drift away, how do you get them to come back and strike on the next cast? MM: There is a technique that I discovered with the Flit, and it is the only jerkbait I have found you can do it with, because it has such tight walking action. With the right among of slack before the jerk and immediately after allowing the bait to glide, you can make the Flit literally do a 180 degree about-face. If the fish is trailing close enough and not willing to commit, you can make it bite out of mere reaction with this 180 degree turn-around maneuver. Bass don’t have hands to swat, they use their mouth, and this results in a catch. This does take practice, but it is one of the absolute coolest thing you will ever experience. I did it on Lake Murray with a 5 lb 8 oz bass, it was unbelievable!! I have done it with many other fish, but the 5 lb 8 ouncer was the coolest because it followed the Flit the first cast and peeled off, and then I was able to get it to track it again and I did this 180 on it. It was so funny because it was apparent it hit out of sheer reaction to the 180 turn-around. This bass didn’t even know what to expect or what happened. It just bit, but it didn’t even fight. That was the down side. It was pretty lethargic. At the same time, it was pretty funny. Q? : How come so many jerkbait bass are partially hooked on the outside of the mouth? 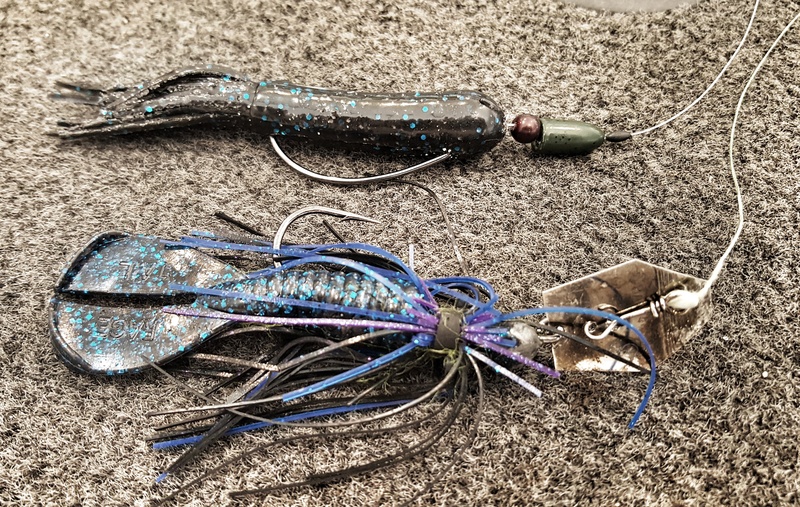 Some have suggested that the bass is slapping the lure’s tail or pushing against the lure’s tail so it can turn the long jerkbait 180 and swallow it head-first. What do you think of that? MM: I used to have fish (two spotted bass, a largemouth, and two crappie) in an aquarium. I would feed them gold fish. If they were hungry and/or competitive, they would eat the gold fish any way they could get them down, sideways, tail first, head first, it didn’t matter. As the competition abated and/or they were getting full, they were more selective and would go for the goldfish head first. However, doing this, is a little harder for them to do. So they would ambush them from the side, battering them, with scales falling off, until the prey moved slow enough and were an easy enough target for them to successfully eat head first. With jerkbaits, I believe that may be what they are doing at times, hitting the jerkbait first as to kill or stun it to make it easier to eat. In many cases they will go through this motion with their mouth closed or mostly closed as to not eat it, just incapacitate it first. With a jerkbait, the hooks may naturally end up on the outside of the mouth. Another explanation is far simpler. A fish swims up to inspect the bait and simply noses it, much like it would nose a jig, worm, or crayfish on the bottom of the lake out of curiosity, but with a jerkbait, because of the sticky-sharp trebles and the jerking motion of how the lure is worked, the nosy fish may get stuck around its mouth or side of the fish’s head, resulting in a catch. Such fish certainly are not intentionally being snagged, but depending on the particular state regulations or tournament rules, this may or may not be deemed a keepable catch. Q? : Before we conclude our interview, Michael, are there any other points you’d like to mention about jerkbaits or spring time fishing with the Flit? MM: I think we pretty much nailed many of the most important questions. I can’t think of anything else to add. Thank you for asking. Here is a fun little piece from an Ima Mailer that I wanted to share, I had not done a Get to Know’em piece since Derek Remitz. I plan to to another similar piece on Brent Haimes in the near future as well. Hello, I am Fred Roumbanis. I am 28 years old, will be 29 at the end of November. I was born and raised in California and spent my youth on the California Delta and nearby local reservoirs. As kids, my brother and I learned to fish mostly from watching our angler heroes on BASS/ESPN TV tournament shows, including Denny Brauer, Rick Clunn and all the greats. I loved to watch Bill Dance, Hank Parker, Fish Fishburne and every TV show that had anything to do with fishing. At the early age of 8 years old, my grandpa gave me my first rod and reel, a Zebco 33 spincast combo. What’s cool is my future father-in-law was an engineer for Zebco at that time and he designed that reel. So I think that’s pretty cool that’s how I got started with my first fishing rod, thanks to my Grandpa and although I did not know it until years later, to find out my future wife’s Dad was also somehow indirectly involved with how I got started fishing too. Pretty cool. My brother Mike was a couple years older, and whatever we saw the tournament anglers do on TV, we tried it. Since they only used lures, we soon stopped using live bait. We just wanted to use lures too. It’s really cool how much that TV influenced us. Other than what we watched on TV, we did not have very much help or anyone to give us tips how to fish. If we saw one of our favorite stars catch a nice fish on a Texas-rigged worm for example, we’d go out there and try it. We might not catch a fish for a week, but when we did, that’s all my brother and I would talk about for the next month. That’s how we learned, we experimented with lures. My mom worked days and my dad worked nights in order to make enough money to help the family survive. Instead of dropping us off at daycare or a babysitter, my parents would drop us off at the reservoir. My brother Mike and I would argue to no end if they tried to make us do or go anywhere else except fishing. My brother Mike went on to become a saltwater angler. He’s really very good, and really into saltwater fishing which is cool. Another moment I’ll always remember was in seventh grade, we had a career day at school where everyone in class would make a presentation about what future career they’d like to consider. When the school counselors asked what did I want to do as a job? I said to be a pro bass angler, and they told me that wasn’t even a job, so it’s not possible. It stunned me to hear it wasn’t a job. I always assumed I’d be that. Bass founder Ray Scott bestows trophy upon Fred Roumbanis. I worked at local tackle shop right out of high school and started to fish as a non-boater in a few local tournaments. After three events, I quickly realized I did not want to fish out of the back of the boat again. So I went and bought first boat, an ’87 model. It was only a 16 footer and I was 18 at the time. That old boat had a long history before me. Everyone always told me if I had a penny for every bass caught out of that boat, I would be rich. So it was kind of a lucky boat or so it seemed – until it sunk in the middle of the California Delta. A treacherous storm came up, and suddenly sunk the boat just like that, and I swam out of the middle of Franks Tract. I had lost the boat, all my rods and almost lost my life. With the waves as rough as they were, I felt more drowned than alive. I didn’t think I’d make it, and that was coming out of high school, having been on the football team and working out at the gym pretty often. Loss of that boat felt like I was starting all over again. Not able to afford another boat, I stopped fishing and got a job working tackle trade shows for a manufacturer’s rep company with a large list of fishing clients. I worked trade and dealer shows mostly in Northern California. I had pretty much delayed going to college. I was taking night classes, but not getting too far with it. So I made a decision then that I needed to get back to school and get a college degree. I got a job with a tackle distributor in northern California who agreed to let me finish up school while I worked. I’ll always be thankful for that opportunity. It was just what I needed. I completed an associate’s degree in community college. With a college degree under my belt, a great opportunity to work in the tackle business came my way in Southern California. I cleared it with the new company that if I took the job, I would like time off to be able to fish tournament competitions, to get another boat and to get back into fishing. Fred Roumbanis still loves to fish the California Delta where he was born and raised. Shortly after relocating to Southern California, it wasn’t too long before another great job opportunity came my way. I was approached by Okuma, a major player in the rod and reel sector. 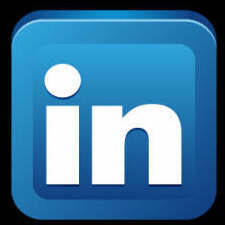 They offered me a sales position there with a career path that could lead up to sales management. The offer seemed like a lot more of a chance to move ahead than I had at my current job, so I went that route. As part of my arrangement with Okuma, we worked out where I would be able to fish the FLW Western Division Series. It was the first time the FLW Series was coming out West. That was 2003. So I got to fish the Western Division all year, but I was also working very long hours at Okuma, in order to keep up at work in between fishing events. It was a busy schedule juggling a career and fishing, but I finished 12th, and that qualified me to fish the national FLW Tour in 2004. I went to Okuma with a sponsorship proposal. They agreed that I should follow my dream and Okuma agreed to wrap my boat and sponsor me on the national FLW Tour for 2004. So now I was unemployed, fishing the FLW Tour, and I did not know what to expect. It can only be described as “fishing culture shock.” I had never fished outside California before, but the 2004 FLW Tour took me to Florida, Louisiana, Tennessee, Arkansas, Kentucky, and New York in six short months. At my first tournament, I finished 82nd on Okeechobee. I felt I could have done a lot better. Next tournament on Atchafalaya Basin, I was in fourth after day one and finished 23rd. That gave me confidence. The last event of the season, I finished 20th on Lake Champlain in New York. Those two good finishes – 20th and 23rd – kept me positive I could make it happen someday. Overall however, I finished 101st for the season. They took the top 100 for the 2005 FLW Tour. So I missed requalifying for the FLW Tour’s next season. In 2004, I also fished and finished high enough in the Bassmaster Western Opens in order to qualify for and move up to the national Bassmaster Tour in 2005. My rookie season on the national Bassmaster Tour seemed that much harder, or should I say the anglers seemed that much better than anything I had faced before. It seemed incredible and almost impossible for me to face the competition. I fished six Bassmaster Tour events in 2005, never finishing in the top fifty. I really thought the other anglers on the Bassmaster Tour were too good for me to compete against them. Since I had missed requalifying for the FLW Tour 2005 season, I went back to the FLW regional level in 2005. Between the different FLW divisions, I felt the Northern Division offered my best chance to qualify to get back onto the FLW Tour that way. I was down to my last dime, and my dream was fading. Showing up for the first Northern event on the Detroit River, Michigan, I was stressed out so bad, I broke out in shingles, a pretty serious thing, and it was all stress-related. I’d had too much exposure to the sun, too much physical and mental stress, malnutrition, not sleeping good, and it all manifested itself in shingles. I was in such a bad state, I could hardly get out of bed. But I hadn’t quit yet. I hadn’t hit rock bottom. That did not happen until I had a very tough prefish for the second Northern tournament on the Mississippi River at La Crosse, Wisconsin, I bottomed out. I gave up. I lost hope. I went to the tournament director Chris Jones and told Chris I decided to pack it in, to pull out of the Northern Division. I just lost all hope that I had what it takes. Chris asked me what kind of fish I was on in practice? I told Chris that I had heard all the dock talk about competitors landing 17 pound sacks during practice and I wasn’t anywhere near that. Chris told me if you can get 12-14 pounds a day, you’re in a good position. I decided to stay, and was landing 14-15 pounds a day during the tournament and I won it. That was a turning point for me. It put me out of debt, put me back into the green and I regained my confidence. I had proven to myself that I was able to win, that I was compete against locals who knew the waters way better than I could ever hope. From Wisconsin, I drove to California only for a few days, then drove back to Lake Michigan for the next event. My life was pretty much lived on the road. I finished 8th on Lake Michigan. So I went from debilitating shingles, to almost quitting, then to winning and onto another top ten. It was an emotional roller coaster ride. One month later, it was back to the Detroit River where I had broken out in shingles. It was rough weather, and my old boat was so worn down and tired, I didn’t think the boat could take the abuse. I felt like I would sink again. I seem to do well fishing big water but I do not like it. If there’s one thing I don’t like it’s lakes like Erie. I can’t get over my fear of sinking because as you know, I did come close to drowning already. I did have a boat sink on me. So the big water really had me spooked. That big water only set the mood however. On the second day of the tournament, I found a dead body floating, and that just spooked me so badly that I blanked, didn’t catch any fish that day. So that was my worst finish and it was a big blow to end the season. It was unlikely I would qualify through the Northerns in order to get back onto the national FLW Tour again. I also fished the Bassmaster Western Opens again in 2005, and had a second place finish on Lake Shasta in late November that earned me a brand new Ranger prize boat package. Sometimes things just work out somehow. Since I now had a Ranger boat I won at Shasta the year before, I got back onto the FLW Tour that way, thanks to a Ranger boat qualification. So I qualified to fish the national FLW Tour in 2006. In 2006, the Bassmaster Elite Tour doubled the number of events from 6 events in 2005 to 12 Bassmaster Elite events in 2006 (plus the Busch Shootout in Grapevine). There’s no doubt that was the most difficult thing I have ever done, to fish a combined 19 FLW Tour and Bassmaster Elite tournaments in one season – but I gained about 10 years fishing knowledge in that one season. Most of all, I gained a good grasp and concept of how to fish new water. Interestingly, I felt I learned more when I did poorly than when I did well. When I did well, I fished what I knew. When I did poorly, I had to learn from my mistakes. So there’s something to be said for fishing poorly – if you can learn from it. A fast learner, Roumbanis tallied $80,770 in combined Bassmaster and FLW earnings in 2006. I put all my eggs in one Bassmaster Elite Tour basket in 2007. I would have liked to fish both FLW and BASS, but there were schedule conflicts where it wasn’t possible. So I had to decide to do one. There seemed to be more possibilities for marketing myself and my sponsors on the Bassmaster Elite Tour, so I went with that because I couldn’t do both tours. It just wasn’t possible. Even just the Bassmaster Tour alone encompassed 14 events in 8 months with stops in Florida, Arkansas, Maryland, New York, Oklahoma, Virginia, North Carolina, Alabama, Georgia, California and Texas. Although I did not fish a tournament in February, 2007, I still took part in a major event that month. One where I came out a real winner when I married my sweetheart, Julie, in her hometown of Broken Arrow, Oklahoma. And soon after my win at High Rock Lake in May, Julie gave birth to our first child, a boy, Jackson Roumbanis. My wife and baby were huge to my success in 2007. They say when you fall in love, when you find that special someone, everything else in your life just seems to fall into place. It really does happen that way. That’s what happened to me and my fishing after Julie and I became married, everything worked out after that. I’m not going to lie to you. I was stressed out about getting married. I was not financially there. When it rained it poured in a good way. 2007 has been the best year of my life. I don’t know if I could ever top it, but I’d like to try. Looking forward to 2008, I finished 12th for the year and qualified to go to the Bassmaster Classic in February, 2008. The Classic also coincides with our anniversary, and we will celebrate it at the Classic. February is not too far away, coming up real soon. I feel like I’ve done me homework. Right now I’m just getting all new rods, reels, line ready. Right after the Classic, the Bassmaster Elite season starts right up, and really won’t have a chance to relax again until about this same time (October-ish) in 2008. Well, that’s all I have to say today. I am Fred Roumbanis. That’s my life story and how and why I ended up in your inbox today. Thank you for reading along with me. I hope you’ve enjoyed getting to know me. I hope you’ll welcome me and the IMA EMAILER back into your inbox again in the months to come. Fred with Chunky California Delta denizen landed on an Ima Roumba wakebait. In case you had not heard, North Branch, MN native Derek Remitz has qualified for the upcoming Bassmasters Classic on Lay Lake in February. He did this by finishing first in the points for BASS Northern Tour, he also fished the Southern Tour and finished a respectable 12th. His top honors in the points also grants him a tour card to fish the Bassmasters Elite Series for the 2007 season, which he intends to do. He lives in Hemphill, TX during spring and winter so that he can fish more, but does reside in MN when he is not fishing. Also, it is very noteworthy that he finished 8th in points in the Stren Series Central Division this year. In previous years he has fished a non-boater in BASS tour events and as a boater in BASS Weekend Series, BFL’s and TTT tournaments. His accomplishments this year are most noteworthy of any MN born angler since Jim Moynagh. So good luck to Derek at the Classic and on the Elite Series!